Make a dramatic statement in your little ones nursery with the Da Vinci Kalani Convertible Crib. 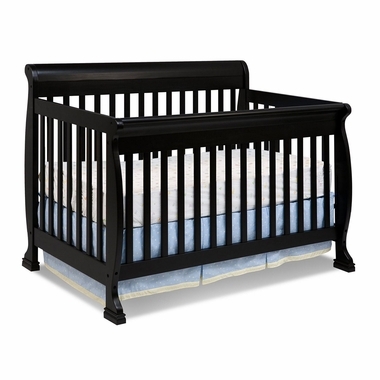 Covered in gorgeous and dramatic ebony, this crib will become the focal point of your little one's nursery! Built to stand the test of time, this crib is constructed from solid pine and durable hardware. It easily converts all the way to a full size head and footboard attached the additional frame. Fashion and safety forward, Da Vinci designs children?s furniture to last generations at fantastic prices.